In Cambodia, there is without a doubt that technology has played a crucial role in moving the country and its economy forward. There are countless things that Geeks in Cambodia loves and appreciates about the Kingdom’s budding tech scene – the opportunities, the innovations, and most of all, its inclusiveness. Various events have seen the promotion of youths in tech, cross-border collaborations and women in tech in as well. Being passionate about such inclusiveness in the community ourselves, we are excited to share with you an upcoming event that has every year, without fail, been supporting the women in tech scene. That’s right – the annual Women Techmakers event is back! This event is organised by Google Developer Groups (GDG) Phnom Penh, which always had its core in technical content, and was created for developers who are interested in Google’s developer technology; everything from the Android, App Engine, and Google Chrome platforms, to product APIs like the Maps API, YouTube API and Google Calendar API. But this event specifically targets the women in this wide scene and this year’s edition includes something rather special – a hackathon! Spanning over two days, this Hackathon event would engage both young women and men to build web and mobile apps using Google technologies under the theme of “Initiative Through Technology”. This Hackathon is a gateway to many new possibilities – fresh startup ideas, new mobile apps, and interactive web apps. And yes, men are also welcomed to participate in this Hackathon; it is all about inclusivity! However, registered teams must have at least one female member, which definitely would not be a problem at all, given Cambodia’s talent pool of both men and women. Optimally, teams should consist of four members, 2 female and 2 male, but teams of 3 are welcomed as well. To be eligible for this competition, you must be either a university student, individual develop or working in the field of Information and Communication (ICT). 5 experts from varying fields will be invited as mentors to provide feedback and comments during the Hacktathon Demo Presentation and judging, which will be covered by online media such as Facebook, G+ page of GDG, as well as local TVs and radios. Apps will also be featured on GDG’s community page, which also increases the possibility of media coverage from digital content creators such as Sabay or local online news. Sounds like a perfect chance for your innovative idea to receive constructive feedback and recognition to us! Not to mention, each mobile or web app developed during the Hackathon, either in the form of a business model or startup, will be used to help the community or solve social issues in Cambodia. Feedback + Recognition + Social Good = A must sign-up! So what are you waiting for? Form your teams and sign up now! 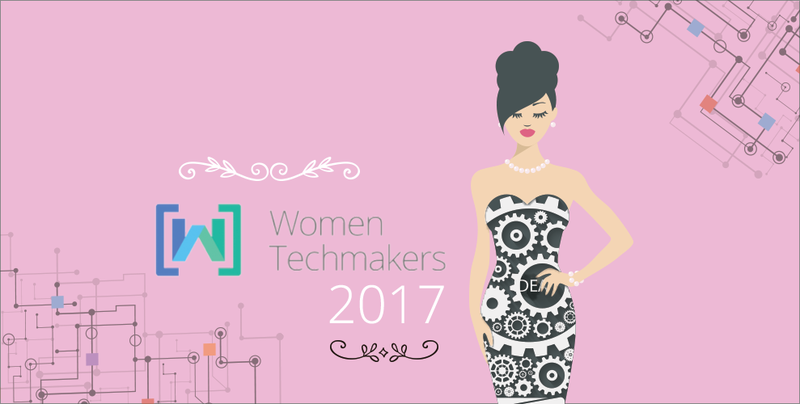 The Hackathon is not the only attraction of Women Techmakers 2017. There will also be a panel discussion held on the first day with 5 distinguished female developers as panellists. The panel discussion would include how these esteemed women overcame their obstacles in the tech scene, and how they achieved success as a woman. Adding on to this already spectacular lineup are live performances by local acts such as Pich Erith and So Cheat. And best of all – it’s 100% free. This year, Women Techmakers is expected to draw in 300 to 500 people for its panel discussion and sessions. But we think that such an inclusive, exciting event definitely deserves a better turnout than that. So if you have a burning passion for tech, an innovative app idea with solutions to real problems, or simply just want to support the woman in tech cause, register yourself here and prep yourself for two days of enriching fun! This event will be held on 29-30 April 2017 at National Institute of Posts, Telecommunications and Information Communication Technology (NIPTICT).